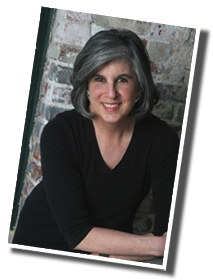 Hank Phillippi Ryan: I think the very first real person other than my agent/husband/editor to really read my very first book, Prime Time, was Hallie Ephron. She’s not only an award-winning novelist and non-fiction author, she’s also the crime fiction reviewer for the Boston Globe, so can you imagine how absolutely terrifying that was? Funny–back then, 2007–I didn’t even know how scary it should actually be. I’m not sure there’s anyone in book world who has changed my life in certain ways as much as Hallie, but that’s another blog. Now we’re pals, and we see each other all the time, and I am constantly finding out some wonderful new thing about her. Like—now. You know about NQTQ, right? Hallie’s Not Quite Twenty Questions have some of our usual fun ones—and some new ones that only Hallie could answer. Book you wish you had written? Best seller list… how many weeks? And because the writing is gorgeous and you don’t see that plot twist coming. Movie you would see again and again? When in history would you choose to visit? To walk around in the “Rainbow City” and see all that great Deco design; to see Sally Rand, Judy Garland, the Andrews Sisters, and the Graf Zeppelin. What a trip! The next novel. Always. Working title: Night Night, Sleep Tight. Set in Beverly Hills (where I grew up) in the ’60s and the ’80s. Does that make it a historical? What do you love about it?Or what are you still considering? Or—what are you learning from it? It’s making me really think about celebrity and its companion, notoriety, and what they cost in personal terms. Did you know that was the theme when you started? Or suspect it? Not at first. I thought I was writing about betrayal (who can you trust?) which is the theme I seem to circle back to over and over. Thing you always say to yourself when writing? Just hold your nose and write. Have you ever thought about just—giving up? It’s a lovely fantasy when I’m in the middle of a book, wondering what made me think I knew how to do this and with no idea how the story is going to come together. Never start a book with: dialogue, a dream, waking up, a car ride, a phone call, weather… Rules like that are silly. You’ve seen so many new authors try to be successful. What mistakes do they make? They’re too impatient, send their work out to agents too early, and then when it gets rejected they get mad and give up. Sometimes they lack the cold-blooded open-mindedness to hear criticism, the stomach to address it, a clear-eyed vision of what really is “good enough,” and the determination to get there. Do you ever worry you’ll never have another good idea? Every time I finish a manuscript. I’m not one of those authors who have ideas buzzing in their heads like planes stacked up for landing. Ideas come to me piecemeal, in shards that I have to piece together and make cohere over the 300 or so pages of a novel. Writing is a process of vacillating between hope and despair. It’s a glorious moment when it all comes together at the end. Fun questions: I know you’re a great cook. But pizza or chocolate? And grandkids. More delicious than pizza or chocolate. Since 1969. He’s a keeper. Birding! Sometimes just watching the bird bath in my own backyard. The Laughing Falcon (aka Snake Hawk). Came upon one unexpectedly, within reaching distance after rounding a bend on a hiking trail in Costa Rica. Big white bird with a black Lone Ranger mask. Made an impression. My source of solace. Weed a few beds and work through the knotholes in the plot. Maybe this is why I’m less productive in winter. That I’m in a play but I don’t know my lines. Do you watch TV? What? Can I admit it? I love TV. Especially Masterpiece Mystery (Sherlock! Scott and Bailey! Silk!). Also, The Good Wife. La la la! Only in the car by myself, and then really loud. Best concert you’ve ever seen? A Joan Baez concert in the Hollywood Bowl with an unknown opening act, a guy named Bob Dylan. Pie crust. Gravy. Mayonnaise. From scratch. And not so secret if you’re related to me. Hank: So, sisters, what do you think about Hallie’s advice? And do you ever worry you’ll never have a good idea? Are you surprised by Hallie’s answer to that? I’ll award the Hallie book of your choice to one lucky commenter! Hallie Ephron writes suspense novels she hopes keep readers up nights. A three-time finalist for the Mary Higgins Clark award, Hallie made a splash with Never Tell a Lie. In a starred review, Publishers Weekly called it “stunning” and a “deliciously creepy tale of obsession.” USA Today: “You can imagine Hitchcock curling up with this one.” It was adapted for film as “And Baby Will Fall” for the Lifetime Movie Network. Hallie’s newest suspense novel, There Was an Old Woman, is set in the Bronx. it’s a story of trust and betrayal, deception and madness. In it, a young woman and a very old woman connect across generations in spite of, or perhaps because, they are not related. There Was an Old Woman is Hallie’s third suspense novel to be honored as a finalist for the Mary Higgins Clark Award. Sarah Weinman named it one of her “Top 10″ for 2013. Before writing suspense standalones, Hallie collaborated on five Dr. Peter Zak series mysteries with Donald Daidoff under the shared pen name G. H. Ephron and published by St. Martin’s Minotaur. Hallie’s parents were screenwriters Henry and Phoebe Ephron who wrote such classics as “Desk Set” and “Carousel.” She grew up in Beverly Hills in a house filled with books, the third of four sisters (Nora, Delia, Hallie, and Amy), all competing to be heard. It was a good training ground for a writer. Hallie lives near Boston, happily married for longer than she can remember, and has two beautiful and talented daughters. She teaches writing workshops at venues across the country. Her Writing and Selling Your Mystery Novel: How to Knock ‘Em Dead with Style was the first how-to-write book nominated for the Edgar Award. Hallie is also is an award-winning book reviewer for the Boston Globe. HANK PHILLIPPI RYAN is the on-air investigative reporter for Boston’s NBC affiliate. She’s won 30 EMMYs, 12 Edward R. Murrow awards and dozens of other honors for her ground-breaking journalism. A bestselling author of six mystery novels, Ryan has won multiple prestigious awards for her crime fiction: the Agatha, Anthony, Macavity, and for THE OTHER WOMAN, the coveted Mary Higgins Clark Award. National reviews have called her a “master at crafting suspenseful mysteries” and “a superb and gifted storyteller.” Her newest thriller, THE WRONG GIRL, has the extraordinary honor of winning the 2013 Agatha Award for Best Contemporary Novel! A four-week Boston Globe bestseller, it was dubbed “Another winner” in a Booklist starred review and “Stellar” by Library Journal. She’s on the national board of Mystery Writers of America and 2013 president of national Sisters in Crime. Watch for her next novel, TRUTH BE TOLD, on October 7, 2014. Visit her online at HankPhillippiRyan.com, on Twitter @hank_phillippi and Facebook at HankPhillippiRyanAuthorPage. Lisa Haselton has had several short mystery stories published and has a couple of novels in various stages of completion. She always enjoys learning new tidbits about other writers, and takes great pride as an editor when working with writers on polishing their manuscripts. She's living a life around her passions for writing, photography, volunteering, and anything related to New England, particularly New Hampshire. This entry was posted in Hallie Ephron, Hank Phillippi Ryan, Interview, Not Quite Twenty Questions and tagged hallie ephron, Hank Phillipp Ryan, Not Quite Twenty Questions. Bookmark the permalink. Thanks Mary! Patients. Patience. Both are precious. Cannot wait for that class…I always learn something wonderful..thanks, Barb! I always initially think I’ll never have another good idea. Not a writer, so can’t understand it from that perspective, but right now am trying to give my house a “facelift” after too many years and I can so relate to ideas coming piecemeal and that fabulous feeling when it all comes together. 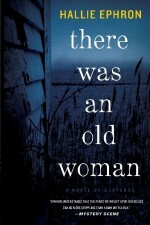 Loved “There Was an Old Woman” (more than Gone Girl! ), just drawn in and couldn’t put it down. Another great interview – you’re going to do this forever, right Hank? Oh, Sally – house facelifts. Better you than me. Now THAT is my definition of nightmare. talk about funny typos..that was supposed ot be xoxo But “zoo” is also appropriate, right? Awesome interview. I’ve seen Joan Baez, but never Dylan (I did see the Beatles in Dodger Stadium in 1966, though). Really looking forward to the LA book, Hallie, even though I never journeyed in from Temple City the twenty-three miles to Beverly Hills until after I hadn’t lived there for decades. Thanks, Edith! And love Cam’s gardening tips here every Wednesday! “Hold your nose and write.” THAT is going in my quote notebook and in a piece of art. One of the best comments above is the one about new authors who send a book out before it’s ready. In the old days, people would get depressed and stop writing, or badmouth the editors and agents who rejected them. Now they put it up on one of the self-publishing websites and never learn to clean it up, never learn how could it could be or how to make it that way. I learned to self-edit by writing articles for a really good editor. When the first one saw print, I thought, “Did I write it that well?” and took out my final copy, and no, I hadn’t. But the next time, before I sent it off, I tried to do what I thought he would have done to it. By about the third or fourth one, I had the hang of it. Now I just say to myself, “Let’s clean this up.” And do. Sometimes– actually, often– things just aren’t ready even if you’ve reached the final page. Love this interview. Especially because when I read Never Tell a Lie, I had just read Gone Girl – and I found Never Tell a Lie much more suspenseful and believable! As always, Hank, I adore this interview format. Loads of fun, and always inspiring! Great interview — fun to read and plenty of insight. My favorite line: “Writing is a process of vacillating between hope and despair.” Yeah! !